In July 1942, the Germans approached Stalingrad in the south of Russia. By taking Stalingrad, situated on the Volga River, they would cut off oil supplies from the south needed by Stalin's armies in the north. 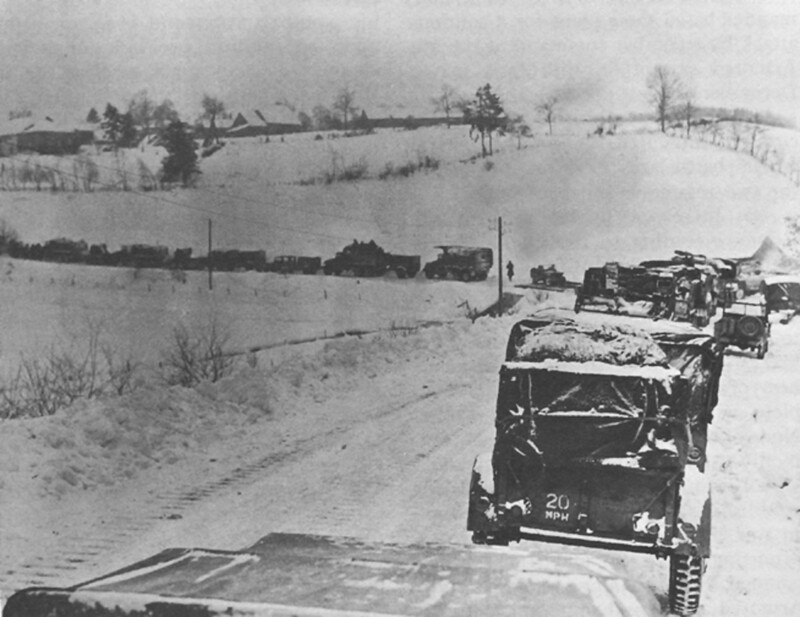 After massive bombing and artillery attacks, the Germans launched their ground assault against the outnumbered Russians. In September, as elements of the German 6th army neared the central part of the city three blocks from the Volga, they ran into Sergeant Yakov Pavlov and his men defending from an apartment building. Pavlov and the other soldiers in the building held them off for two months before significant Red Army reinforcements arrived and pushed the Germans back. 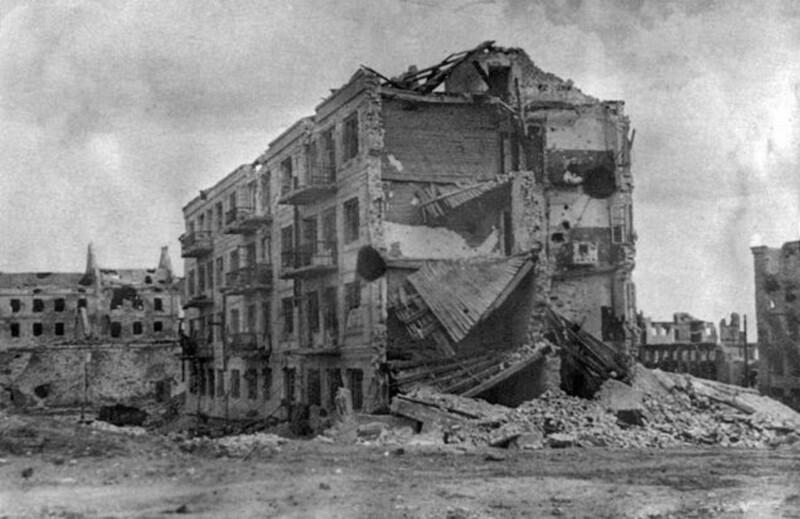 On September 27, a 30-man Russian platoon was ordered to retake a four-story apartment building the Germans had just captured which overlooked a large square in the north-south center of Stalingrad. Since the platoon's lieutenant and senior sergeants were already either dead or wounded, the men were led by 24-year-old Junior Sergeant Yakov Fedotovich Pavlov. After a fierce fight that killed 26 of the 30 members of his platoon, Pavlov and three others took control of the building and set about defending and fortifying it against German counterattacks. The building had a clear view of up to a kilometer in three directions, east, north and south. In the basement were ten civilians who stayed there for the duration. There was nowhere else to go. After several days, 26 more Russian soldiers, led by Lieutenant Ivan F. Afanasiev, who would nominally be in charge, managed to join them. 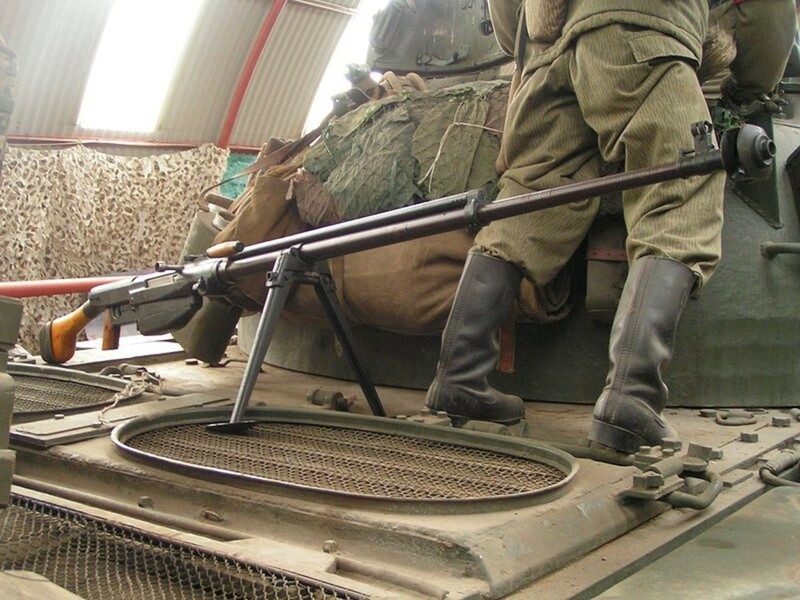 They brought much-needed supplies and weapons, including mines, mortars, machine-guns and a PTRS-41 anti-tank rifle. Four layers of barbed wire and minefields were laid out across the approaches to the building and machine guns were stationed in the windows facing the square. 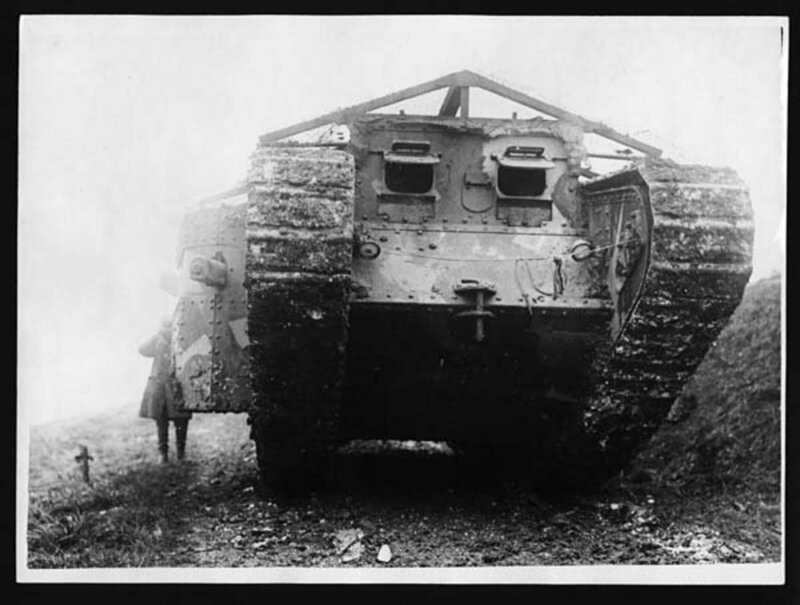 By now, the German infantry, supported by tanks, were attacking every day, sometimes several times a day, trying to dislodge them. Pavlov discovered that, by waiting for the tanks to get within 25 yards and firing from the roof, the anti-tank rifle could penetrate the turrets' thinner top armor and the tanks couldn't elevate their weapons high enough to return fire. Pavlov is credited with destroying up to a dozen tanks with his anti-tank rifle during the siege. Later, the defenders tunneled through the basement wall and dug a communication trench to another Soviet position. In this way, when boats braving German artillery and air raids managed to cross the Volga, food, supplies and especially water, trickled in. Occasionally, they were visited by 19-year-old Anatoly Chekhov who liked to snipe from the building's rooftop. Stalingrad was a sniper's paradise; an estimated 3,000 Germans died in Stalingrad from sniper bullets. Chekhov alone was responsible for the deaths of 256 of them. Eventually, a bomb destroyed one wall of the building, but they kept fighting the Germans off. 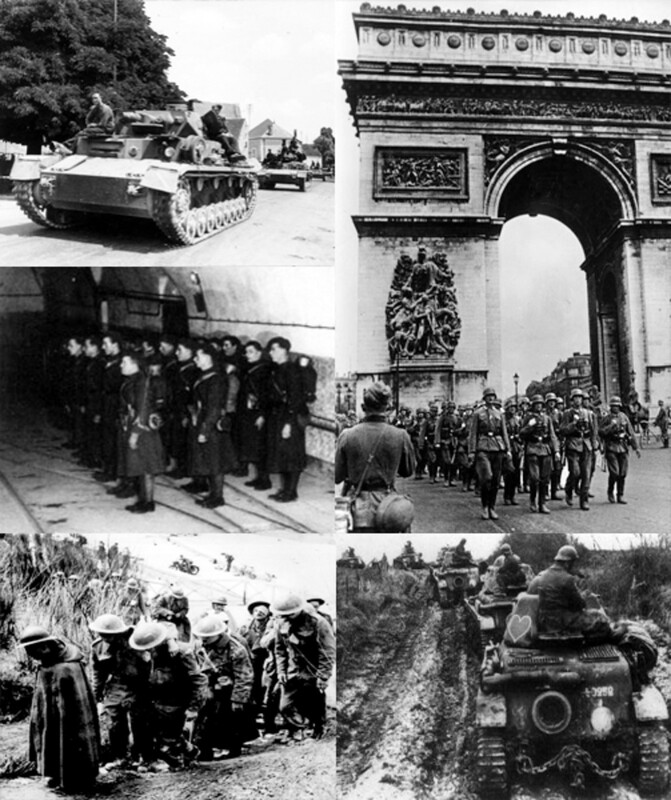 Every time the enemy crossed the square and closed in on them, they returned such a withering barrage of machine-gun fire, mortar shells and 14.5 mm anti-tank armor-piercing rounds, the Germans were forced to retreat with heavy losses. 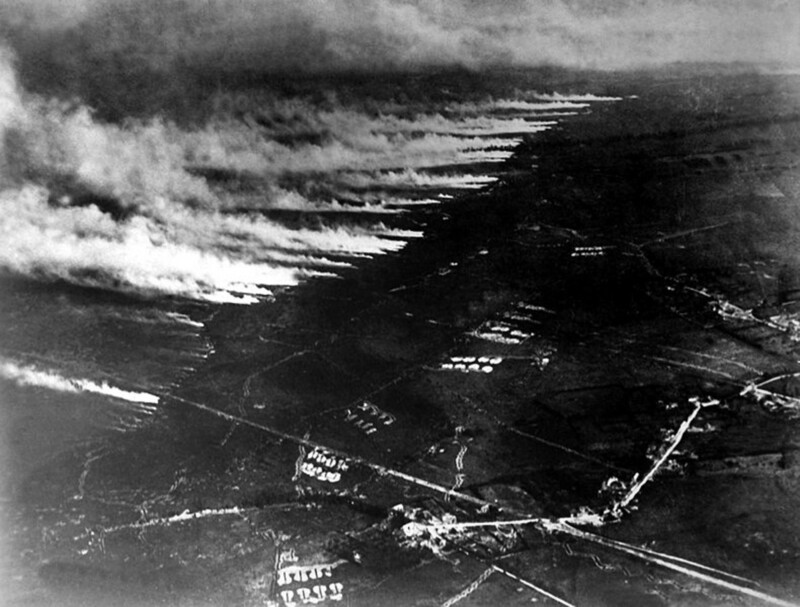 By November, it is said that, after most assaults, Pavlov and the other defenders had to run out between lulls in the fighting and kick down piles of dead Germans so the corpses wouldn't block their view of the next assault. German maps showed the building as a fortress. At one point, the Germans controlled 90% of the city and had divided the Russians into three enclaves with their backs to the Volga River. There were other heroic pockets of resistance-- notably to the north where large factories were fought over for months. Pavlov and the others held out in their building for two months, until November 25, 1942, when the Red Army counterattacked and they were relieved. The Battle for Stalingrad lasted from July 1942 until February 1943, when the surrounded Germans surrendered. The Russians lost 640,000 killed, missing or wounded along with 40,000 dead civilians. The Germans lost 745,000 killed, missing or wounded and 91,000 captured. Of those who were captured, only 6,000 ever made it back to Germany. One of Germany's most powerful armies was utterly destroyed and the Red Army had shown it could attack on a massive scale no one had thought possible. It was the turning point of World War II. There is a mission in the popular video game Call of Duty where the player, as a Russian conscript, must help capture and defend an apartment building from waves of German attackers until reinforcements arrive. The squad leader in this mission is named Sergeant Pavlov. Also, the multiplayer version contains a map of Pavlov's House. 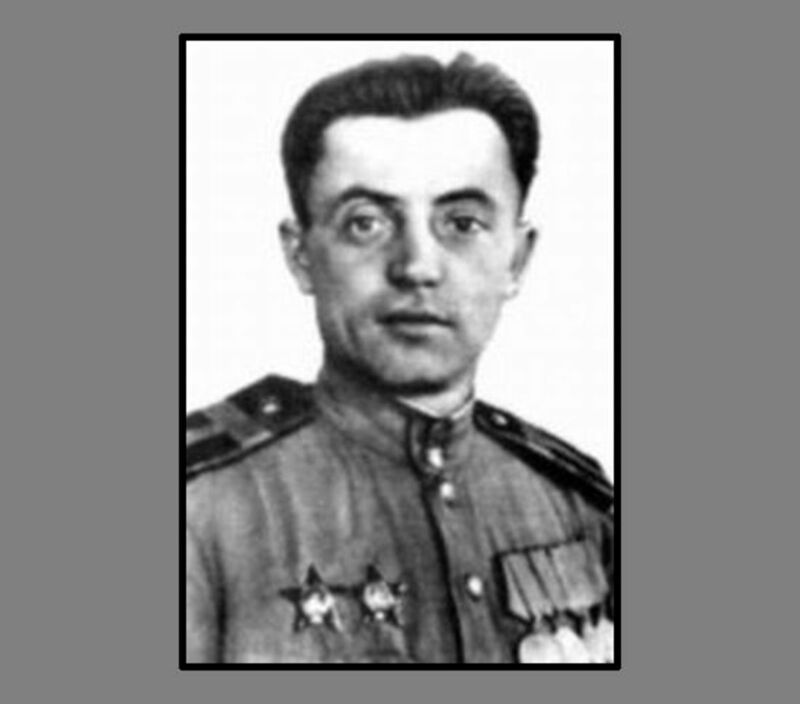 Sergeant Pavlov was awarded the Hero of the Soviet Union, the Order of Lenin, the Order of the October Revolution, two Orders of the Red Star as well as other, lesser medals. The apartment building he defended was renamed Pavlov's House. 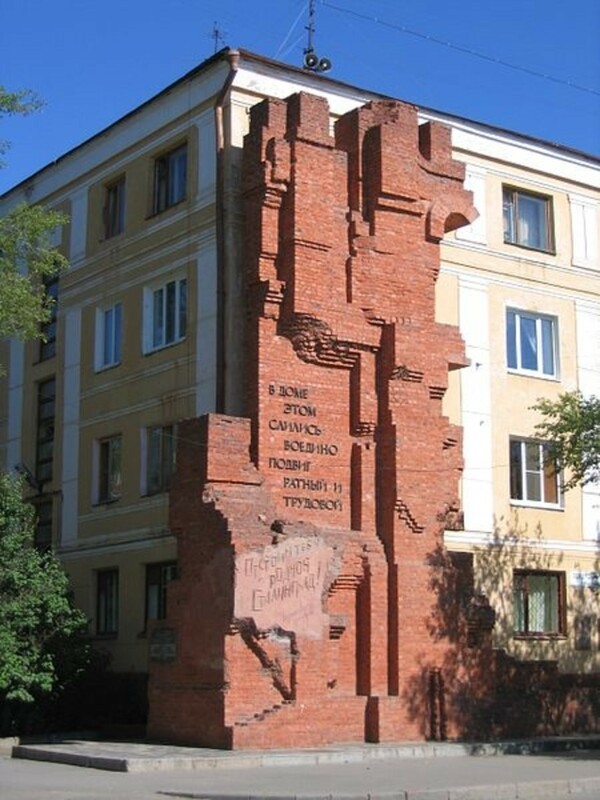 It was later rebuilt and a monument made of bricks from its ruins was attached to the building where it stands today in modern-day Volgograd (formerly Stalingrad). Yakov Pavlov left the Army in 1946 as a lieutenant and joined the Communist Party. He was elected three times as a deputy in the Supreme Soviet of Russia, Russia's parliament. Pavlov died on September 29, 1981. Ha ha, Paula. You know how to get me to dig in further. There was no relationship between Ivan Pavlov, the first Russian Nobel laureate best known for conditioned reflexes and Yakov. "Pavlov" is a common surname in Russia and Bulgaria and translates to "son of Pavel (Paul)". You flatter me-- my secret is that I'm pretty good at finding stuff! Thanks for another great comment. 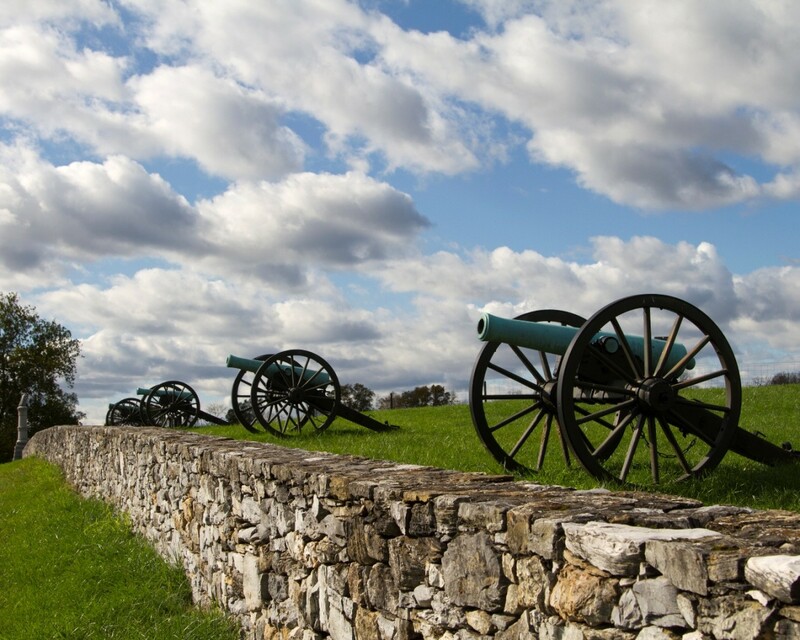 David....More fascinating history~this is a great story. Pavlov was quite the military man (even if he was the enemy!) At 24 he was pretty intelligent and observant in battle. That's quite a total he racked up~ 12 tanks and 256 Germans by sniper, just by him alone. Thanks so much for your quick reply, this means so much to me, your effort has not gone unappreciated. Thank you very much Sir! Hi Fishtail. I don't normally include URL links in comments so I have sent you an email with the 13 sources I used when researching my article. I hope they are as useful to you as they were to me. Yakov Pavlov's story is an incredible one and the fact that he survived the war until age 70 in 1981 is just another facet in his remarkable life. Good luck with your project. Hi I'm doing a research project on this topic and I would REALLY appreciate it if you could provide me with as many sources as possible that were used in the creation of this brilliant and well written story. Much appreciated! Thanks, TheHoleStory. Glad you liked it. When I read these kinds of little-known bits of history, it just increases my curiosity. This was a truly interesting story about a chapter from World War Two that I didn't know about before. I voted this story up!!! Hi JMCL162, thanks for commenting and sharing. When I come across something I wasn't aware of that interests me it becomes a hub! This one definitely felt like a hub the moment I read a blurb about it. Very good hub. An interesting and heroic part of history that people may not know about. Shared and voted up. Aethelthryth (I can now spell your name without looking), considering the "intersection" of Russian and German armies in the last century, there should be plenty of material. That's a pretty large Venn diagram! Hmmm, "last century" makes me feel old(er). Thanks as always for commenting. 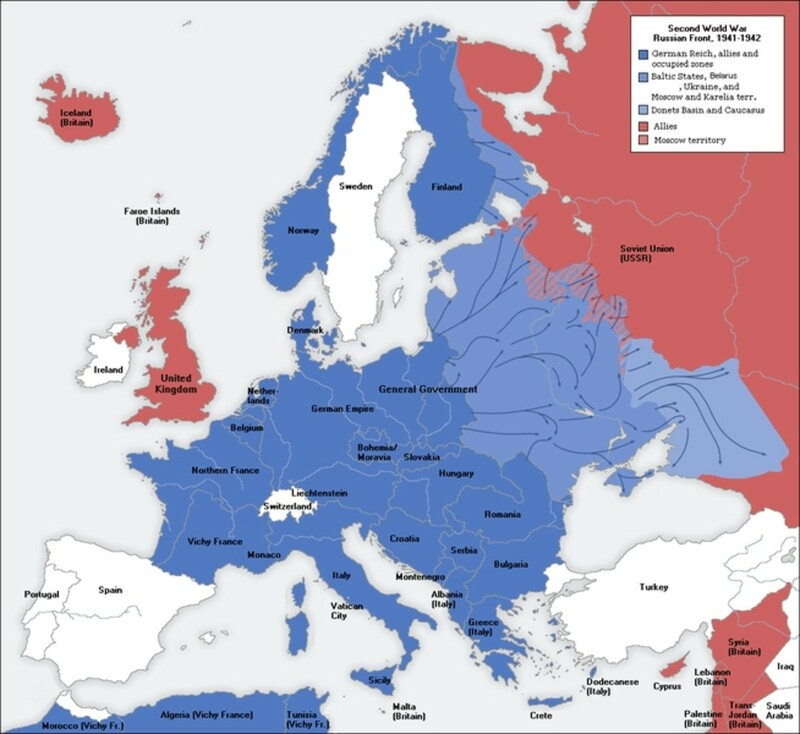 Having studied German and Russian and so having learned a bit of history of both, I find it very interesting to read about their intersection of histories. Hope to see more from you and Pavlo both! Gypsy, glad you liked it and thanks for sharing! Pavlo, your perspective on historical events are always most welcome. Sadly, many Americans know little about the war on the Eastern Front and, just as sadly, the Soviet Union's veil of secrecy didn't help. Voted up and interesting. Thanks for sharing this fascinating piece of history. Great pics. Passing this on. As I was a child we knew much more about heroic events of WW2 than nowadays children. Pavlovs house was one of those stories which knew probably anyone here. Great hub! Well, I was born in 1964, hippies were starting to arrive, so..... you know the rest of the story. Thank you, Michele, for commenting. I never did understand "Social Studies" instead of "History". "Social" and "Studies"... two words guaranteed to glaze a young mind. 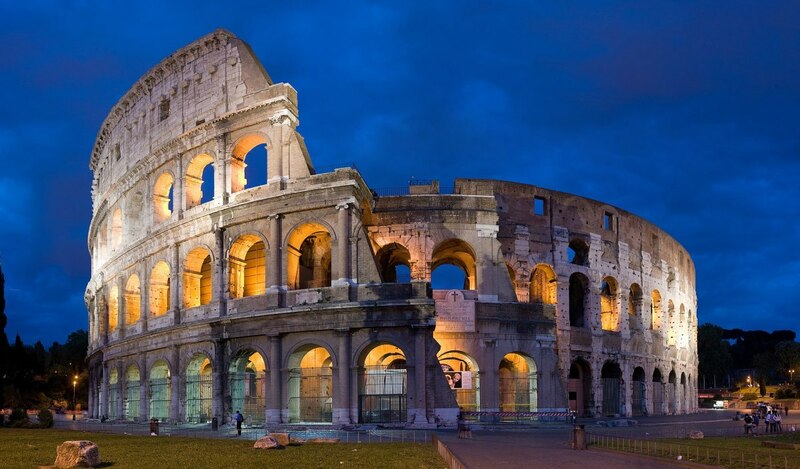 What an amazing piece of history. There is so much that has never even been touched on in school. We were taught a lot in social studies, but history? No, not a lot of that. Don't know why. I believe the civilians made it. Despite the Germans attacking every day, they were in one of the safest spots in the city and, although sporadic, they had food and water-- precious commodities in Stalingrad. Thanks, as always, for commenting. Hi UH. A thrilling story here hero's indeed. What about the 10 civilians still in the building, I have to smile slightly. 91,000 captured only 6,000 get back. We have to wonder what happened to the other 85,000. Great research as usual. Thanks for commenting xstatic. The Battle of Stalingrad was horrendous for all concerned. The Germans called it Rattenkrieg-- Rat War-- because much of it was also fought underground in the sewers. A fascinating story of valor in defiance of great odds. Sounds as if Pavlon deserved every accolade he got! Loveless, I appreciate your comment and glad you enjoy this historical period. We can all learn from it-- even without meaning to :) Hmm. That reminds me, I meant to add a sidebar about Pavlov's House and a popular first person shooter. I'll do that now!